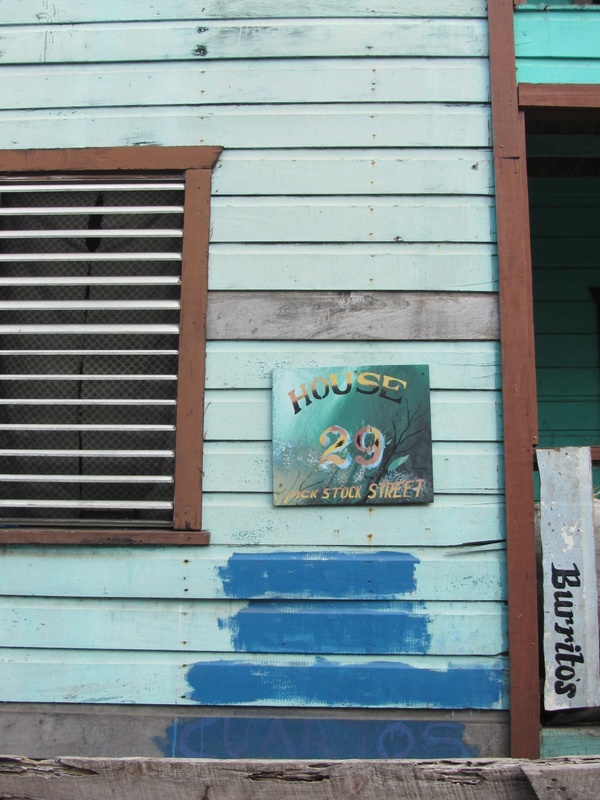 A few weeks ago, I posted a selection of the colorful, tropical hand painted signs of Caye Caulker and San Pedro. 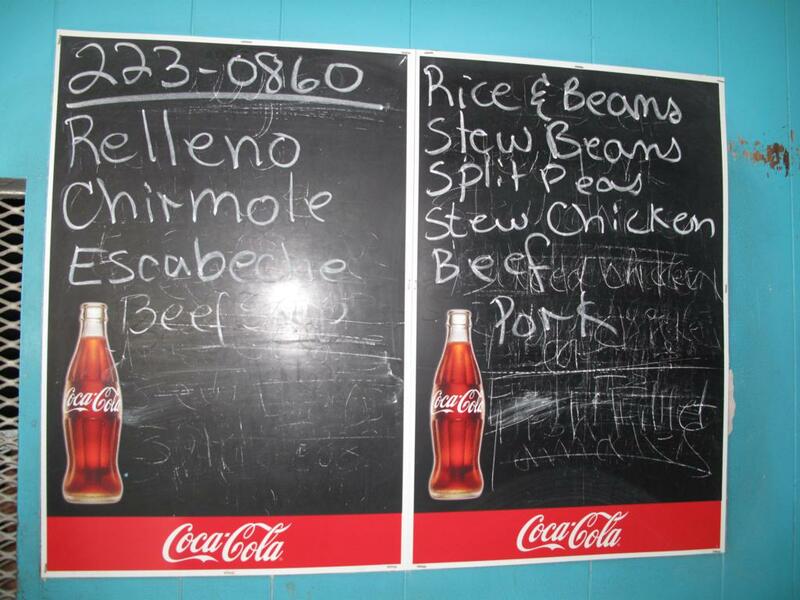 Here is another example at a small ice cream stand in Caye Caulker. 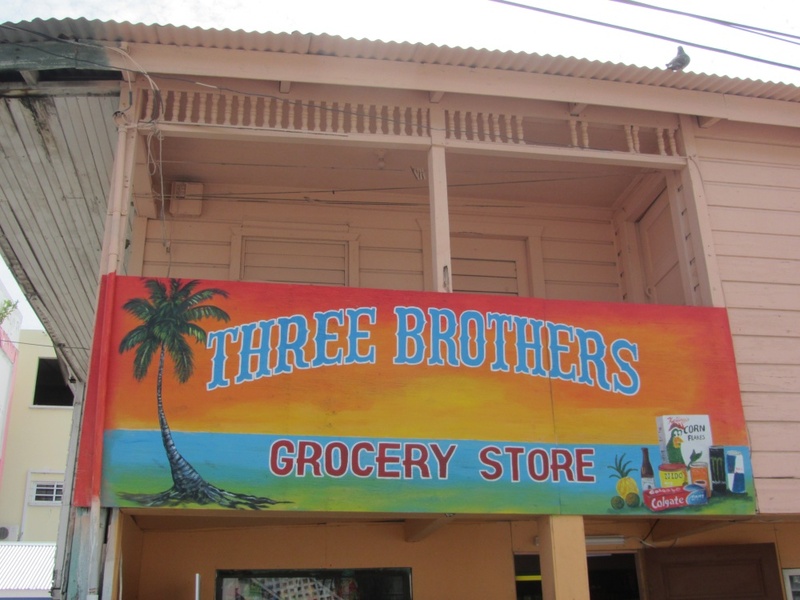 or a grocery store in San Pedro. 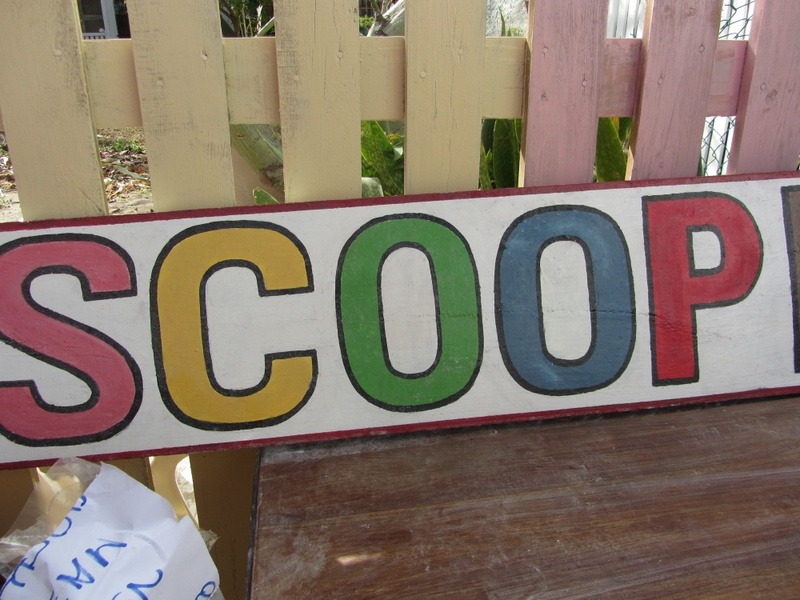 …I was admiring a whole different breed of hand painted sign. Less artsy and more utilitarian but equally interesting. Here are just a few. 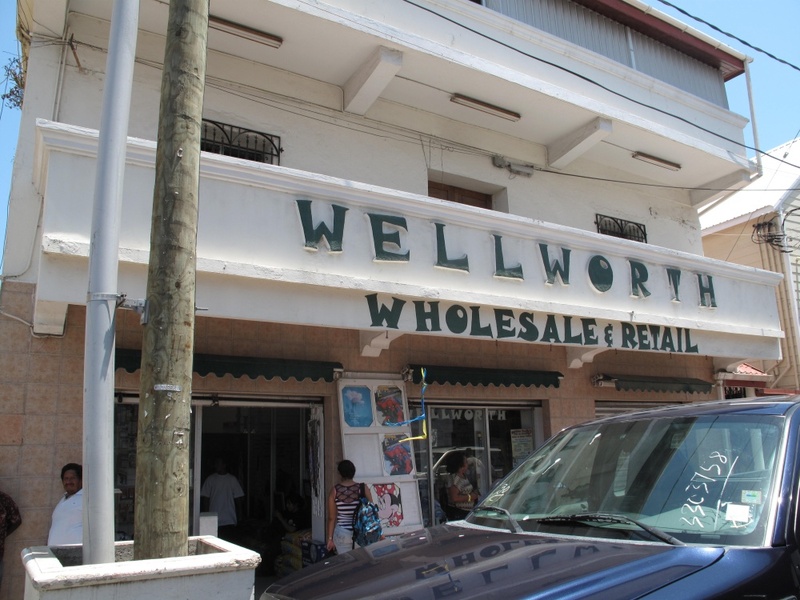 The Woolworth’s of Belize. Like they say in the movie “Coming to America” at McDowell’s Fast Food, “They got the golden arches, we got the golden arcs”. Bootleg African movies are very popular. Did you know that the Nigerian film industry is the second largest in the world? After only India and before the United States? 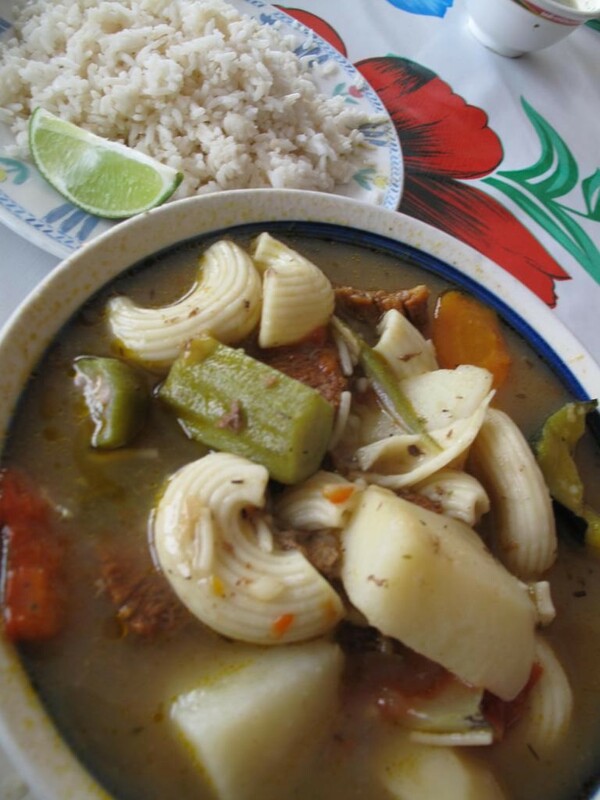 And well…my favorite. I continue my love/hate relationship with this place (a bit like my relationship with Belize City). So many questions…I need to stop in one day and ask about his inspiration (you KNOW this wasn’t a woman’s idea). 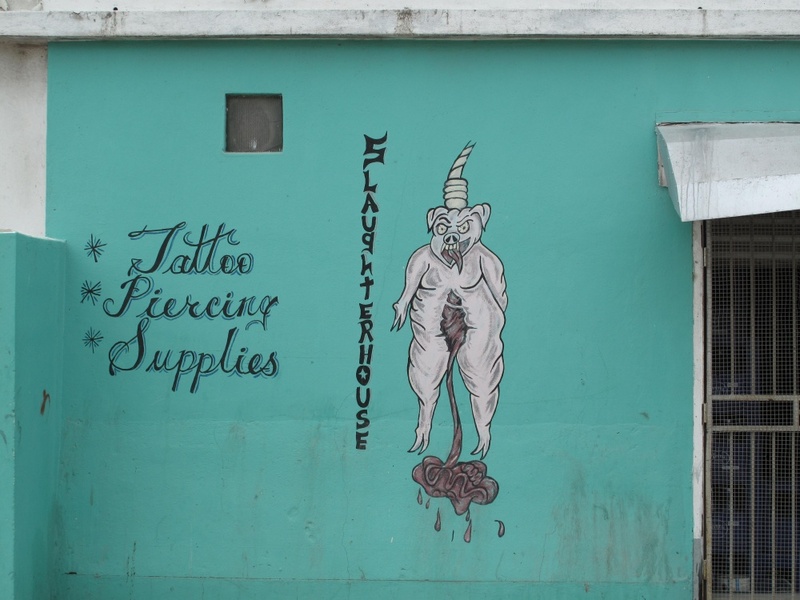 The Slaughter House Tattoo shop. And then, less nightmare inducing, a house sign on Pickstock Street. 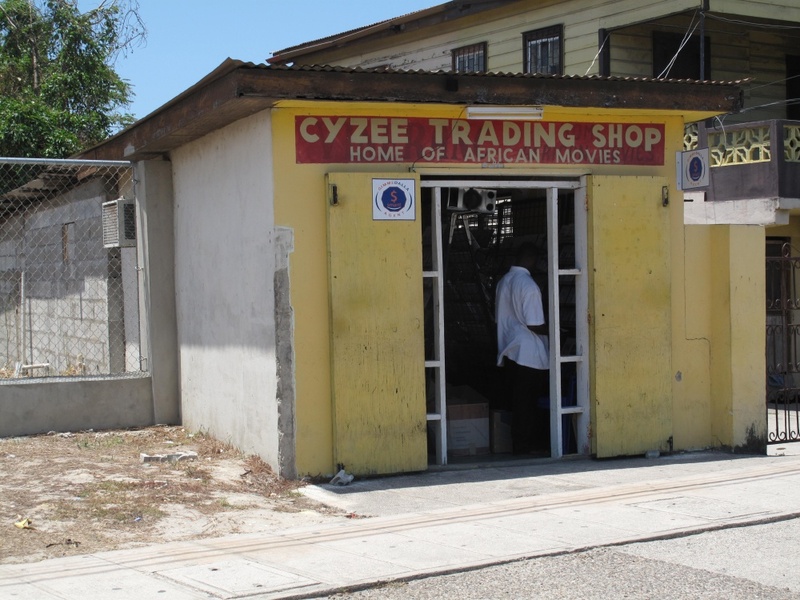 There are so many pictures to take in Belize City but taking precautions is a definite must. 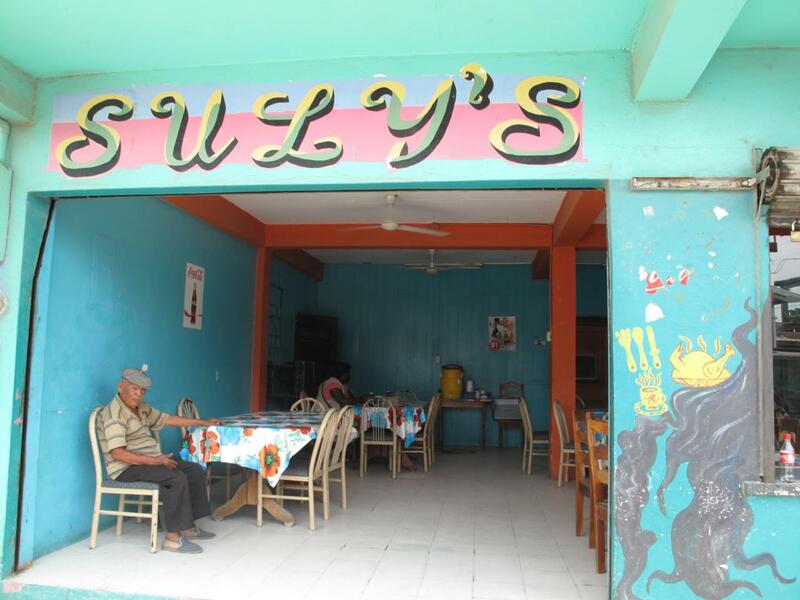 These I took from a car and my Belizean friend kept warning me not to hold my camera out the window. I plan to be back in the city in the next few weeks…I’ll bring my very cheapest camera and take lots more.